I published a post on this topic yesterday, on my site Get Back To The Black. Here’s a LINK. RENTING IN RETIREMENT: DOES IT MAKE SENSE? Fifteen years ago, after half a lifetime (well, thirty years) of being an owner-occupier, I became a renter again. I’d bought my first property in my late twenties; a modern flat in Brooklands, just south of Manchester and conveniently close to Sale Rugby Club, where I played rugby and squash in the lower echelons. It was much easier to get on the housing ladder then, compared with the problems faced by today’s younger generation. So one took it for granted that was the best thing to do. Many years later, as you’ll know if you’ve read my book “Back to the Black”, I encountered a severe financial problem due to the failure of my business. Becoming a renter again was part of the solution. As it happened, I found that there were more advantages than I’d expected; but at the time I didn’t think that this was what anybody approaching retirement age would do from choice. The article made some good points, though I don’t agree with it totally. It’s available in full online – see below for a link (it’s not behind a paywall, for which fact they get my vote), so I am sure that the magazine and the journalist Zoe Dare Hall will not mind my quoting extensively from it. Here’s my edited version, with my own comments in CAPS. Retirees are increasingly turning to renting rather than owning their homes. If life goes to plan, you spend your active years scaling the property ladder. Then, in retirement, you sell up, rent, and enjoy the proceeds. “IF LIFE GOES TO PLAN … YOU SELL UP …” – I’M NOT SURE I AGREE WITH THAT. MOST PEOPLE I KNOW TRY TO PAY OFF THEIR MORTGAGES BY THE TIME THEY RETIRE, SO THEY CAN CUT THEIR COSTS BY LIVING MORTGAGE-FREE. SOME USE EQUITY RELEASE TO FREE UP CASH, BUT THAT’S ANOTHER MATTER. THE IDEA OF SELLING UP AND THEN RENTING, THOUGH IT HAS ADVANTAGES WHICH ARE DISCUSSED HERE, SEEMS RELATIVELY NEW TO ME. Given the trend of house price increases – Halifax records a 30% rise in the past decade – and the fact property accounts for 40% of our individual wealth, more people are becoming renters in retirement. It is not always through choice, however, according to Prudential, whose recent report into the matter finds one in seven people will retire with no pension. Of the one in four retirees who rents their home, almost half of them (42%) were previously property owners. Their main reasons for selling up were to pay off debts, finance divorces, boost retirement income or help their children. DON’T GET THE LOGIC OF THIS TOTALLY. RENTING TO BOOST RETIREMENT INCOME (OR TO HELP YOUR CHILDREN) ASSUMES YOU CAN EARN MORE INCOME FROM INVESTING THE PROCEEDS OF YOUR HOUSE SALE THAN YOU’LL PAY IN RENT. AND IT’S A CHOICE, DESPITE WHAT THE ARTICLE (OR THE PRUDENTIAL) SAYS. However, for people choosing to rent in retirement, there are many benefits. Average rents tend to keep up with real incomes as opposed to inflation, so if history repeats itself, this can keep your housing costs down. THERE ARE INDEED BENEFITS BUT I DON’T SEE THIS AS ONE. HISTORY ALSO TELLS US RENTS CAN GO THE OTHER WAY. You can also avoid the burden of maintaining your property. Landlords are typically responsible for repairs and maintenance and over a 10-year period that can amount to anything between £10,000 and £20,000. AGREED: THAT WAS A MAJOR BENEFIT FOR ME, ESPECIALLY AS I RENT A VICTORIAN PROPERTY. GIVEN THE POOR CONSTRUCTION QUALITY OF SO MANY BRITISH HOUSES, PASSING THE MAINTENANCE RESPONSIBILITY TO A LANDLORD COULD BE AN ATTRACTION FOR MANY. The other benefit of renting is flexibility. Typically, tenancy agreements in the private rental sector have a minimum six-month break clause. Some canny retirees stay in the UK for the summer months and then rent abroad during the winter, saving the hassle and risk of owning a property abroad. OK, PROVIDED YOU ARE ORGANISED ENOUGH TO MOVE SOME OR ALL OF YOUR EFFECTS INTO STORE FOR THE MONTHS YOU ARE AWAY. There are, of course, certain downsides to renting, too – unwelcome in your advanced years. Landlords can decide to sell up or increase the rent unexpectedly, subject to the contract, and some fail to maintain the property adequately. Additionally, if you fall ill and end up in hospital, you will still need to pay your rent. Financially, selling up may not always put you in the strongest position either, as research shows renting typically requires more funds than owning. Prudential suggest retirees pay an average rent of £423 a month, whereas – purely in terms of their home loans, not including maintenance costs – homeowners pay £257 a month. IF THOSE NUMBERS ARE TYPICAL, THAT CONTRADICTS THE CENTRAL IDEA OF SELLING UP TO BOOST RETIREMENT INCOME. That said, renting can be a way to boost your pension pot, acquire flexibility of tenure and remove the responsibility of maintaining a home. THEY ARE WELL WORTH A READ, IF YOU FEEL THAT RENTING IN RETIREMENT IS AN OPTION THAT MIGHT SUIT YOU. I’VE PICKED JUST TWO ITEMS FROM THOSE SECTIONS; HERE THEY ARE WITH MY COMMENTS. … A NEWISH TREND IN THE UK, THOUGH COMMON IN THE STATES, BUT WORTH LOOKING AT IN MORE DETAIL FOR OLDER PEOPLE. ESTHER RANTZEN WRITES IN PRAISE OF THIS IDEA IN THE SAME ISSUE OF MONEYWISE. Application/referencing fees (up to several hundred pounds). SEE BELOW! Deposit (normally four to six weeks’ rent). NO PROBLEM THERE. THAT’S TO BE EXPECTED. DON’T GET ME STARTED ON AGENTS CHARGING TENANTS! THE LETTINGS AGENT’S CLIENT IS THE LANDLORD, NOT THE TENANT. SO HOW IS IT THAT THE AGENT CAN CHARGE FEES (APPLICATION FEES AND INVENTORY FEES) TO BOTH PARTIES? SURELY AN AGENT CANNOT REPRESENT BOTH PARTIES TO A TRANSACTION. IT IS A CONFLICT OF INTEREST AT BEST, A RIP-OFF AT WORST. CLEARLY THE SCOTS HAVE A MORE LOGICAL APPROACH. For a copy of “How to rent in retirement”, click HERE. For info about my book “Back to the Black”, click HERE. THE BEST RISK-FREE, TAX-FREE INVESTMENT IN TOWN? Want to know the answer? It’s paying down debt. In the current issue of “Moneywise” there’s one of their regular “Money Makeover” features. Wendy Edwards from Surrey and her partner Marc were being advised by Ian Anderson of G C Stevens Financial Services in Weybridge. One of the first tips from the adviser – which “Moneywise” highlighted in a text-box – was to use the savings to pay down part of the card and loan debt. By doing that he calculated they’d save £790 / year, which amounts to about 3% of their net income. Do you have any savings? You might answer: “are you crazy? I’ve used them up long ago.” However, many people who are facing severe debt problems, and are “maxed out” on their credit cards, turn out to have money squirreled away in another account, “for a rainy day”. (I was one of them) Well, as this is a rainy day, (and right now you are earning very little interest on those savings) it makes no sense to hold on to savings at the same time as you have unsustainable debts. I suspect this is always true. Most financial experts say that it’s important to maintain a good credit rating, even if you are not planning to increase your borrowings in the near future. At some point in the future you may well want to do so; at that point, if your credit rating is poor, or simply inaccurate or out-of-date, it could cause you problems. At the very least it could cause you delays. As I have mentioned before, I subscribe to “Moneywise” magazine and I find it a useful resource. It’s also a quick read, which is very important to many people. I wish I had known about it back in the late ‘90s when I faced my own debt problems. Being in debt is stressful and that’s why very often advice needs to be clear and succinct. Get hold of your credit report from one of the three main credit reporting agencies in the UK: Experian, Call Credit and Equifax. They are required by law to provide a basic one for £2. Look for mistakes; lenders often misreport and still show debts as being unsatisfied, even though they have been paid in full. Check for old addresses: are your old addresses in there? Are they spelled correctly? You need evidence of your past payment performance. Show your stability. Long relationship with one bank? Landline phone? On electoral roll? Get a credit card, if you haven’t got one. This seems illogical but it’s a good strategy. Manage it sensibly; that provides evidence of your “probity”. Be careful who you link your finances to. Applying for joint credit will link your credit reports, of course. Don’t make lots of applications for credit at the same time. The Golden Rule: don’t miss payments. If you can’t avoid missing one, contact the lender / credit card company in advance; don’t just default. Way back in 2004 I found a great online resource on this subject from Equifax. That’s really “from the horse’s mouth”, because they are one of the three UK companies mentioned above, who do the credit reporting. The information is still valid and it’s still on Equifax’s website. 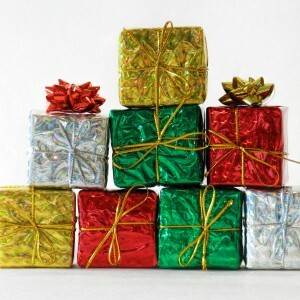 Being able to repay a variety of new accounts helps rebuild your credit. Opening and paying off as many different kinds of accounts as you can is better than adding more debt to an existing credit card. If you can’t qualify on your own, ask a friend or family member to co-sign for a small loan or credit card. They are guaranteed by a deposit that you make with the credit grantor; they offer the purchasing power of a major credit card. Make sure the grantor reports payment histories to a credit reference agency, so you’re building your positive payment history. And make payments that are more than the minimum. Avoid carrying a balance that is more than 30% of your credit limit, because creditors may view that as excessive debt. It’ll take time for your new credit history to gain momentum, so be patient. You’re demonstrating your financial reliability; that’s why opening and paying down accounts may make it a little easier to get more credit in the future if you need it. For the article: “Ten ways to boost your credit rating”. Available in “Moneywise”, March 2012, page 46. 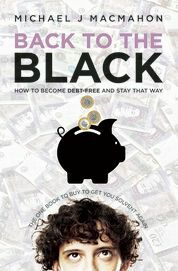 For info and links re my e-book “Back to the Black: how to become debt-free and stay that way”, click HERE. It’ll also be available in paperback from Amazon in a couple of weeks; I have the proof copy in my hand right now. Good old Ryanair! If that particular budget airline didn’t exist, bloggers and stand-up comics would have to invent it. Those guys provide rich pickings, mostly for the ludicrous way they boost their low “headline prices” through add-ons. It’s not the fact of the add-ons (sorry, I nearly called them surcharges, which would have been a mistake, as you’ll learn if you read on); because we are not stupid enough to think we really can be flown to Malaga for 50 pence; or even the amount. It’s the way they are added right at the end of the purchase process; the old inertia strategy. The end of the purchase is the point when you have spent so long wading through their booking process that you have almost lost the will to live; and then you feel what the hell, you must have a holiday at any price. OK, I know, they use euros in Ireland nowadays, not punts, but I think the story sounds better this way. And, as they used to say at the News of the World, never let the facts get in the way of a good story. Not just their policies, but also their public pronouncements, show Ryanair’s total contempt for their customers, for the media and for consumer watchdogs. A very recent article (9 August) in the Guardian says that the European Commission has decided to investigate this area. Well, maybe. Of course he’s right … and so are the people at Which. Ryanair calls them administration fees. And if the OFT, or the EU, ever manages to pass any legislation outlawing them (don’t hold your breath and I don’t think it’d be worthwhile), why, they’ll just call them something else. Last week I booked a flight within Europe. So I checked out all this stuff in detail, to the point where I too almost lost the will to live. Ryanair and BA were two of the options, so I went right through the details and terms and conditions. Of course the Brisith Airways headline fare was double Ryanair’s but with BA there were no surcharges, admin fees, supplements etc. When those were added on, Ryanair’s total fare was higher than BA’s. Guess which airline I booked with … despite my Irish heritage? And do you imagine I’ll get better service when I get on board the BA, compared with the take-it-or-leave it attitude of Ryanair? No prizes for guessing. Checked baggage fees: Yes, dear reader, as I said above, I nearly booked a Ryanair flight last week. After wading through the 12 different categories of baggage fees, I found that the average cost was about £30 per bag per flight. So, for example, as a couple with just one bag each we’d have paid an extra £120 for the round trip. Well that’s all right then; it’s not a surcharge, it’s a fee. When they say “costs associated with ….” at least they don’t make the unjustified claim that their internal costs are anything like the £6 they charge. “Doesn’t seem like much, does it Michael?” … till you find it’s per passenger per one-way flight, even if you make one card transaction for two or more people, round-trip. Sneaky? underhand? I’d say contemptuous. Yes, I know, some rail booking sites also charge fees for using credit cards (common enough) and debit cards; but in my experience they are smller and they are per transaction, which is more logical. I was in business long enough to know the old saying “cost is a matter of fact; price is a matter of policy.” So Ryanair charge a greatly inflated “admin fee” because they want to and because they can. 4.2.2 Taxes, fees and charges imposed on air travel are constantly changing and can be imposed after the date that your reservation has been made. If any such tax, fee or charge is introduced or increased after your reservation has been made you will be obliged to pay it (or any increase) prior to departure. Similarly, if any such tax, fee or charge is abolished or reduced such that it no longer applies to you, or a lesser amount is due, you will be entitled to claim a refund of the difference from us. … and finally: that song again! This month’s edition of the “Moneywise” magazine carries a supplement showing all the winners (and losers!) in their annual awards for service and trustworthiness. At a time when banks, and the financial services industry in general, have had many knocks to their corporate reputations, any good news is good news, if that makes sense. Here is my totally unscientific extract, i.e. the awards that interested me most. And don’t worry, if you don’t subscribe to Moneywise (which is very good value; and I am not on commission!) you can access the info online; scroll down for the link. In summary: First Direct dominated the awards, winning many categories. There were also awards for several organisations I’ve mentioned on this blog: Zopa, Yorkshire BS and Coventry BS. Winner: First Direct. Highly Commended: Coventry Building Society. Trusted providers: Britannia, Nationwide, Post Office, Yorkshire Building Society. Overall “most trusted” provider: First Direct. Highly Commended: Nationwide. In addition to the “most trusted” awards, there are also six service awards in each of 15 categories: go to the link below for details. A while ago I blogged about the new(ish) peer-to-peer lending websites, such as Zopa, the largest in the UK. I also said I’d be looking into the matter further. So I decided to read what the established financial journalists (the people who are paid for their expertise) are saying. Firstly, I’ve learned that Zopa stands for the “Zone Of Possible Agreement” and its aim is to cut out the middleman by putting lenders and borrowers directly in touch. The site acts as a facilitator and makes sure debts are repaid. In an earlier post on this subject I mentioned Maryrose Fison’s article with the above title (January 2011) in the Independent. See below for a link, as it’s still on their website. Here’s my inexpert précis of what some other writers have said. She says that “(new-style) Peer-to-peer lending websites and old-style credit unions have been major beneficiaries of public anger against the banks, seeing a huge level of growth in 2010. “Meanwhile credit unions, which are co-operative organisations offering affordable loans and accounts without bank charges, have also grown. A spokesman for ABCUL, the credit union association, said the amount of savings in British credit unions had risen by 27% in the two years to March despite the fact that many British people were struggling to save in the current economic climate. The number of new members of credit unions rose by 18.4% in the same period. “… for those with a good credit score, there’s an alternative. Zopa is a unique internet marketplace which couples people who want to lend with those who want to borrow. On application it gives you a credit score, and if you get its top A*, A or B ranking, you can borrow. Editor’s note (that’s me): there is a video on Zopa’s Facebook page too but I’m not able to reproduce that, because I haven’t done the training course to insert video. For your guidance, their loans are apparently mostly for the purpose of home improvement (like the above), cars or debt consolidation. … and finally, I must congratulate this peer-to-peer lender for having achieved an important award. According to Moneywise magazine, Zopa is the UK’s Most Trusted Personal Loans Provider 2011. This was for the second year running and was against a shortlist that also included First Direct, Nationwide, Tesco Bank, Sainsbury’s Bank and Natwest. 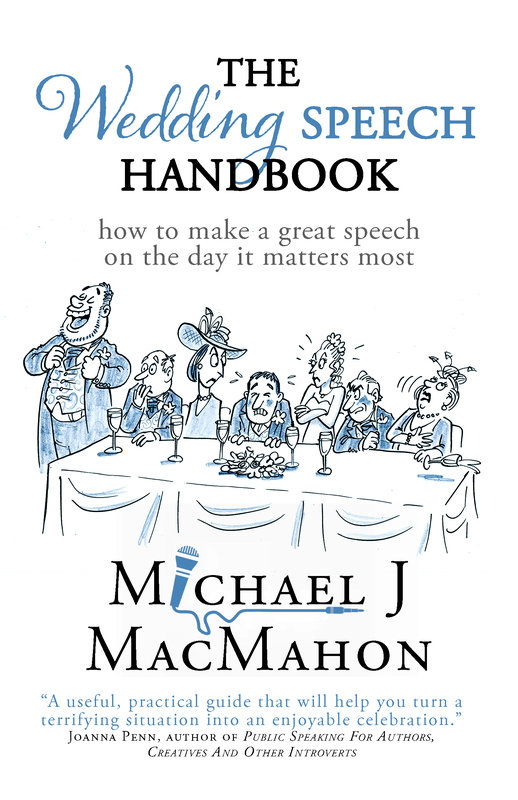 You can follow me on Twitter: @michaelmac43, on Facebook: Michael James MacMahon, or on Linked In. I’ve been following articles and blog posts by Jeff Prestridge; he’s personal finance editor of Financial Mail on Sunday, thus a pretty influential guy. And he’s said some very complimentary things lately about the building society sector, especially by contrast with major banks. If I were in charge of media relations at one of those banks, I’d have found it uncomfortable reading. One of his articles was in “Moneywise” (May 2011); on the front cover, the piece was flagged up with the words “why selfish banks put themselves first” and my first reaction was that this was just another blast at the major banks; justified, maybe, but not news. Well, yes, but there was more: a good-news story about building societies. Prestridge’s title praised the excellent customer service records of two particular building societies, especially by contrast with the majority of banks. They were Coventry Building Society, a mutually-owned bank, and Yorkshire Building Society, who are the country’s second-largest building society, with assets of £30 billion. That’s small by comparison with the £1.9 trillion assets of RBS in 2008, making it then the world’s largest company (did you know that? ), but large by most other measures. Both scored highly in several categories of Moneywise’s own Customer Service Survey Awards but they were nonetheless profitable organisations. The article’s title was “Banks that look after us look after themselves”, the point being that caring for the customer makes commercial sense. The article also compares top management pay packages. Ian Corning, CEO of Yorkshire BS, donated both his entire 2010 bonus and his annual increase to the Society’s charitable foundation. That compares very favourably with the well-known and astronomical levels of pay and bonuses at the top clearing banks. (at RBS, bonus of £4.5 million, apart from salary). According to a Bank of England study by Andrew Haldane and quoted by Lanchester, the bank directors were paying themselves these monster bonuses simply as result of taking bigger punts; “there was no skill, efficiency, intelligence or judgment involved: just riskier bets”. And we all know who picked up the tab if the bets went wrong: the taxpayer. Compared with this, the relative restraint at the building societies seems even more admirable. “Payment protection insurance has been a blot on the financial services landscape for far too long. It has angered those who bought it only to discover it wasn’t worth the paper its terms and conditions were written on. “BUILDING societies remain a key part of the financial landscape, providing consumers with a much-needed alternative to the banks, especially in the savings and stricken mortgage markets. Although the credit crunch has not left the industry untouched, resulting in a bout of consolidation (that will continue for a while), there are signs that some bigger societies are emerging from the financial crisis stronger than ever. Yorkshire and Coventry are leading the way. Both have managed to absorb smaller stressed societies into their fold over the past three years – Barnsley, Chelsea and probably Norwich & Peterborough by the end of the year in the case of Yorkshire, while Coventry has snapped up Stroud & Swindon. Crucially, they have managed to do this without compromising either customer service or the competitiveness of their products. The strength of these two organisations is such that both have declared an interest in acquiring Northern Rock – complete with 75 branches – from the taxpayer. Given that the building society industry has survived the crunch with its reputation intact and without falling back on taxpayers for support (the demise of Dunfermline was its only blemish), it would be a great fillip for the sector and great news for consumers if Northern Rock (once a building society) were to be remutualised. I think he makes the point very well that this is enlightened self-interest; by caring for the customer they help themselves build a more sustainable business. What a pity not all businesses view the world in those terms. If you are not opening bills and are screening calls from creditors, seek advice. Ignoring payments will not make them go away and the problem will only get worse. Firstly, I agree totally about seeking advice if any of those five signs fits your situation. And yes, I agree totally that ignoring payments – ignoring the situation in general – will make the problem get worse. Not opening bills? Ten years ago, I was “guilty as charged” on that score. I know from bitter experience that mounting interest charges, penalty charges etc can result. Luckily I didn’t get to the point of being taken to court, despite many threats. However, it’s the question of incoming phone calls I want to talk about here. Yes, the fact that you feel you need to screen phone calls is one sign that you’re worried about your debts. However, there is a case for letting your answering machine take those calls, subject to one important condition: that you take note of any messages left by your creditors and you respond to them in writing. You have time to think before responding. It will look professional; if you are not good at composing letters, there are some examples in the “resources” section, which you can adapt to fit your situation; or you can get an adviser to help. You have a record of everything that has been said by both parties. … and most importantly, it is less stressful. “Let the answering machine take the strain”. Follow this strategy, summon up your reserves of patience and persistence, and the huge benefit is that you avoid verbal discussions. They are just too stressful right now and, thanks to that wonderful invention the telephone answering machine, you need never speak to a creditor in person. When I say this, I am not advocating that you ignore telephone calls. No, you should respond if a creditor leaves a message but you do it in writing, referring to any previous correspondence and repeating your previous offer, if you have made one, or perhaps making an offer, if you have not done so. Alternatively you could simply state your position and ask for their understanding and for more time. One slight disadvantage of the telephone “bubble” concept (Seve Ballesteros again) could be that your friends might notice that you are never in, even when they expected you to be so. Is that a major problem? Probably not. If you have an actual answering machine, rather than the service from your telephone provider, then you can use it to filter your calls, by listening to the machine before deciding whether to pick up. If you have “caller display” on your home phone, or you are being called on a mobile, problem solved: you can be 100% selective about which calls you accept and which you allow to go through to voicemail. Now I do recognise that there are some people who simply cannot resist answering a ringing phone. If you are one of those people and you can’t break the habit, then all I can say is that I hope you are someone who is not stressed out by this kind of situation, in which case you are in the lucky minority. In such a case, carry on following your instincts and answer the phone, but I would still urge you not to conduct a negotiation on the phone. Simply take in what is said and offer to think it over and reply – but in writing. I hope that the above is of help. If you need more info (for example if you want to know why I refer to Seve Ballesteros! ), get in touch or read my book. Want to view, free of charge, the first 20% of my multi-format eBook (“Back to the Black: how to become debt-free and stay that way”)?